Would you like to know the best trade route, in a ship with 127 tons of cargo, starting with 132543 credits, reserving 21445 for insurance, over 10 hops, with 3 jumps between hops, never visiting the same place twice, with a minimum profit, penalising (but not blacklisting) distant stations, avoiding particular systems, stations or commodities and heading either in a general direction, or making a loop, or going somewhere specific, or nowhere in particular? 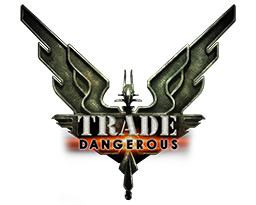 No problem - Trade Dangerous has you covered. No other trading tool can give you the same level of control. Running locally allows it to do much more work than finding you that best trade. It can do much more than just tell you the highest value trade between two stations (which you might not even be able to afford!) It will find the load that makes the absolute best use of your cargo space and credits. Better still - it can project that forward and calculate many hops for you, and then pick the best sequence: It may be most profitable to take 100 Gold from A->B, but if there's nothing worth buying at B, your next hop is a waste of time. And it takes the money you're going to make into account. When you have only 10,000 credits, it might be lucrative to Clothing A->B and Grain B->A, but if you've made 5,000 credits already, why aren't you picking up Fish B->C and then using the additional credits to allow you to start running Dom. Appliances C->A etc. Because TD runs locally, it can figure out the full deal for you. TD is a best profit calculation system that runs locally on your computer, designed to enable other programmers/power-users to easily build on it. So what makes this so special? Adaptable - Can give broad or highly specific answers to user's queries. Flexible - Can be used with, or without, crowd sourced (EDDB/EDDN) data. Powerful - Options allow for specialised and distinct ways to query the data. Versatile- Create trade routes, find commodities, best prices nearby, calculate navigation, find ships/upgrades. Portable - 100% Cross platform. Runs on any system which supports Python, including Windows, Linux, MacOS. Jul 29, 2015 (wolverine2710) Filled in platform: Windows, Website and Android.